(The authenticity of the Audio Message has not been confirmed yet by any of the intelligence agency) According to the reports, a new audio message has been released by Islamic State which beliefs to be its leader Baghdadi is once again challenging the United States and its allies to face it on the land of Iraq and Syria. A large portion of Iraq and Syria is now covered under ISIS and declared as Islamic State while telling his supporters to endure despite major recent battlefronts setbacks. Last month, Russia have done airstrikes on Syria which have created a big problematic situation for the terrorists according to many media reports. The recent audio is of 24 minutes in length in which the leader, Abu Bakr al-Baghdadi said the US won’t come to fight the enthusiasts because “their hearts are full of fear from the mujahideen”. The last message was released in May. The audio message of the speech has been populated by the social media accounts of ISIS which lately got reported and many of them closed now. This development took after a string of defeats for the Islamic State in Iraq and amid intensifying shelling by an American-led military confederacy in both Syria and Iraq. 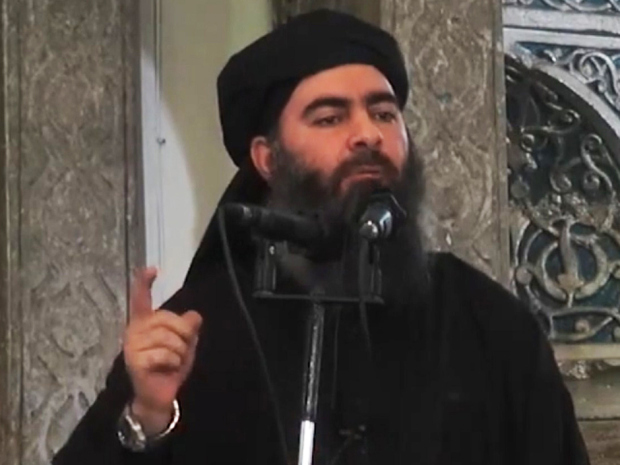 In the audio message released, Baghdadi acknowledged increasing pressure on the Islamic State but expressed it as worldwide attack by the “disbelievers” against Muslims. He has stated the word “disbelievers” many times earlier also while quoting the persons who fought against ISIS. “America and its allies dream of destroying the caliphate through their proxies and henchmen, and whenever an alliance of theirs fails or a tail is cut, they hasten to establish another, until they recently declared the Salouli (Saudi) alliance that was falsely called Islamic,” US media quoted Baghdadi as saying.